Why Kia of South Austin? There are numerous reasons why drivers choose Kia of South Austin. Proudly serving Round Rock, New Braunfels, Buda, Kyle, Elgin, Bastrop, San Marcos Pflugerville and Leander areas, our teams of professional sales advisors, service technicians and financing experts are trained with one focus in mind: addressing each of your needs with the utmost respect, care and attention to detail. If you are in the market for a Kia new & used car dealership near you; we invite you to explore the style, versatility, and comfort of our cars and SUVs at Kia of South Austin. If you live in the greater Austin area and have been searching for a new or used car that fits your style and needs; then look no further. There is nothing quite like finding that new car that just says… You! And we have got a range of Kia New Inventory that will surely catch your eye. Explore new models like the Kia Optima, Kia Sportage, Kia Soul, Kia Sorento, or Kia Forte. The Kia of South Austin sales staff is here to point you in the right direction and to assist you with all of the steps in the auto buying process. After all, once you find Kia that looks right to you, you’re going to want to get behind the wheel to see if you get that new car spark. Interested in a pre-owned model instead? Well, Kia of South Austin has that taken care of too. We know that top-of-the-line quality and reliability are key selling-points for any automotive purchase; new or used. With that in mind, we work tirelessly to ensure all of our Pre-Owned Inventory measures up to our stringent standards before they make it onto our lot. Not only will we help you find your next vehicle; we want to help you drive away from our dealership with a car loan or lease that fits your individual needs. 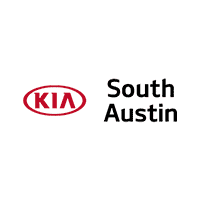 Kia of South Austin provides a staff of auto financing specialists ready to assist you! We work hard to help you get the car finance program that fits your budget so that you feel confident and happy in your new ride! If you are looking for exceptional customer service and a friendly, professional staff to support you through the car shopping process, Kia of South Austin does that and so much more! Once you have chosen the new or used Kia that is a perfect match for you, we provide automotive services to help you keep your vehicle performing at its best. If you like to perform your own repairs, you can get the genuine Kia parts and accessories to do the job right at our auto parts center. If we don’t have the particular component in stock, we can order it right away. Our dealership also provides a high-tech auto service center with expert mechanics and technicians who can help ensure your vehicle maintains performance by offering quality car service and repairs. Schedule an appointment today and let us get you safely back on the road. At Kia of South Austin, we work hard to make the car-buying process easy and informative so that you can have an enjoyable and successful experience. The next time you are in the market for a new or used vehicle, we invite you to stop by and meet our auto sales professionals at 5306 South I H 35 Frontage Rd, Austin, TX 78745 to see how they can help you.